UJOLS editorial committee is pleased to invite you to submit papers for the forthcoming 3rd Issue. We publish research papers, book reviews, expert opinions, and dissertations related to the legal system of Uzbekistan as well as central Asian countries both in English and Japanese. UJOLS editorial committee invite you to participate either one of following calls. Scholars, graduate students and practitioners are also welcome to submit their expert opinion on some particular legal reform laid by Government of Uzbekistan. It should be a short piece with no more than 3000 words and include specific suggestion (policy option). Please submit your expert opinion through submission page of our home page until the 1st November, 2018. As an exception to our general rule, we accept expert opinions in one of the following languages: Uzbek, Russian, English and Japanese. For further inquiries on expert opinions, please contact Mr.Husain Radjapov (husain@ujols.org). The organizers also announce a year-end symposium on the legal aspects of New Development Strategy of Uzbekistan. 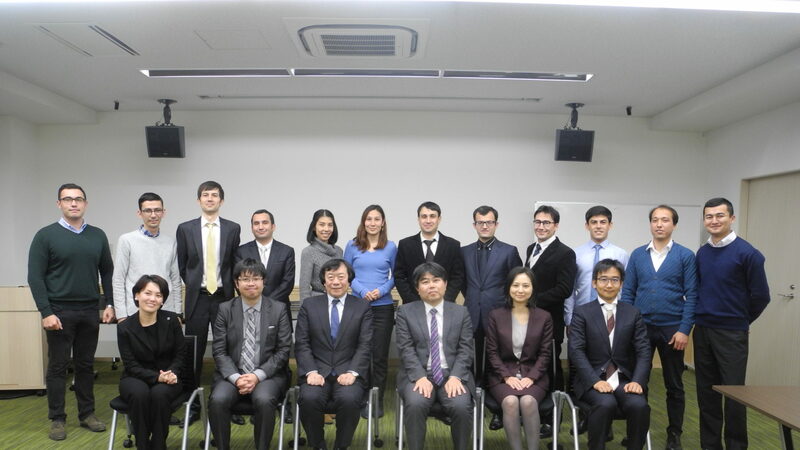 Several leading Central Asian experts in Japan are expected to take part in that symposium. We welcome all contributors to orally present their papers in this symposium. The symposium will take place in the first half of December 2018 in Nagoya, Japan. Concrete dates of the symposium will be announced later. Successful applicants should inform organizers about their intention to participate no later than September 25. The applicants will be expected to bear the costs of their own travel and accommodation. UJOLS team also announces a prize for best expert opinion! Prizes will go to respective contributors. We will announce the result of competition during the December symposium in Japan and winners will get their prizes. For further inquiries, please contact Dr. Alisher Umirdinov (umirdinov@nagoya-ku.ac.jp).